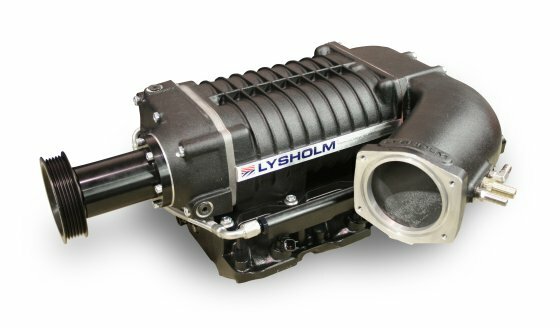 Lysholm 2300 supercharger with 6-rib pulley and cast aluminum air inlet manifold for 2010-2011 Camaro (included with system). The lysholm 2300 supercharger included in the tuner kit is capable of more than 700HP with custom tuning on vehicles with modified engines. If you would like to custom tune your installation, or if your vehicle is already modified, we recommend that you purchase a tuner kit, which does not include the tuning and fuel injector upgrades that are included in complete systems. For proper installation of a tuner kit, you or your installer must provide the appropriate fuel components and custom tuning. A custom-tuned Lysholm installation on a 2010 Camaro by RMCR recently made 621.85 RWHP and 622.28 RWTQ on the dyno with 9-9.5 PSI of boost from the 2300 supercharger. Tuner kits do not include tuning or fuel injector upgrades. Tuner kits require the installer to provide the necessary fuel system upgrades and custom tuning in order to function properly.